The gene therapy pipeline in terms of phase of development, therapeutic area, target indications, types of vectors, gene types, etc. Interest of venture capital firms and recent funding rounds that have taken place in the gene therapy space. Development and sales potential based on target consumer segments, likely adoption rate and expected pricing. The constraints of gene therapy and future developments planned to overcome these. The study provides an estimate of the short-midterm and long term market forecast for the period 2015 - 2025. 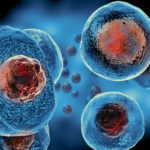 The research, analysis and insights presented in this report include potential sales of the five approved gene therapies and 12 gene therapy products in late phases of development. Owing to niche nature of the market, with most products in the pipeline, we have provided three market forecast scenarios to add robustness to our model. The conservative, base and optimistic scenarios represent three different tracks of industry evolution. All actual figures have been sourced and analysed from publicly available information and discussions with industry experts. The figures mentioned in this report are in USD, unless otherwise specified. Gendicine became the first approved gene therapy in China in 2004. So far, there have been three more marketed gene therapies: Rexin-G, Oncorine and Neovasculgen. All of these have been made commercially available in Asian countries. Glybera was the first gene therapy to be approved in the EU in 2012. We have identified a total of 483 gene therapy molecules in the marketed and the clinical pipeline which are designed for different therapeutic areas. Except a few which are in advanced stages of development, majority of the gene therapies are in early development stages. There are several challenges and ethical issues associated with this field; germline gene therapy is one of the important issues. The existing gene therapies use somatic cells. However, research is in progress to introduce germline gene therapy in the market since some of the serious inherited genetic diseases, such as Lecsh-Nyhan Syndrome, can only be treated by germline gene therapy. There has been a growing interest from Venture Capital firms in the gene therapy space. In fact, in 2013 / 2014, several companies were involved in investment in gene therapies; during January 2013 to April 2014, a total USD 600 million was raised by the US companies alone. This activity is likely to increase further and will help companies, especially start-ups, drive their respective products to commercialisation. We expect the gene therapy market to be worth USD 11 billion by 2025, representing a healthy annual growth rate of 48.9%; specific therapies such as Prostavac, ProstAtak and TroVax are likely to achieve blockbuster status. Chapter 2 presents an executive summary of the report. The summary offers key highlights of the gene therapy market and a high level view on where the market is headed in the mid-long term. Chapter 3 provides a detailed introduction to the market. In this section, we have talked about theclassification and routes of administration of gene therapy. It also includes the advantages, challenges and ethical issues associated with gene therapy. Chapter 4 provides a comprehensive view of the gene delivery systems. It includes details about the different viral and non-viral vectors associated with the process of gene therapy. Chapter 5 includes information on over 483 molecules which are currently approved orin different stages of development (both clinical and pre-clinical / discovery). The detailed analysis of this pipeline covers information on drug developers, phases of development, therapeutic areas, target indications, vectors used, gene types and the genes involved. Chapter 6 provides details on the marketed therapies.The chapter includes detailed profiles of marketed gene therapy products. We have presented information on several parameters such as history of development, clinical trial results, manufacturing, costs, collaborations and the likely sales forecast over the next ten years. Chapter 7 includes detailed profiles of gene therapy products in late stage clinical trials. We have presented information on several parameters such as history of development, technology used, clinical trial results, manufacturing, costs, collaborations and the likely sales forecast over the next ten years. Chapter 8 highlights the promising new therapeutic areas for gene therapies. It elaborates on the number of products being developed under each therapeutic area. Chapter 9 includes details about the venture capital investments that have taken place in this field. It also highlights the contract manufacturers participating in development of gene therapy. Chapter 10 summarises the overall report. In this chapter, we provide a recap of the current gaps in the industry and highlight the future scope of gene therapy. Chapter 11 is a collection of interview transcripts of the discussions which were held during the course of this study. Chapters 12 and 13 are appendices, which provide the list of companies and tabulated data for all the figures presented in the report. 3.5. How Does Gene Therapy Work? Figure 7.3 Pipeline Overview: MolMedS.p.A. Table 7.4 Company Overview: MolMedS.p.A. The following companies have been mentioned in this report. The following organisations and universities have been mentioned in this report.